WAPPINGERS FALLS, N.Y., April 2, 2019 /PRNewswire/ — Racial and ethnic minorities represent more than 25% of the total U.S. population, but only 10% of the nation’s healthcare providers. And research shows that, compared with non-Hispanic white patients, members of minority backgrounds are less likely to receive preventative health service and often receive lower-quality care. 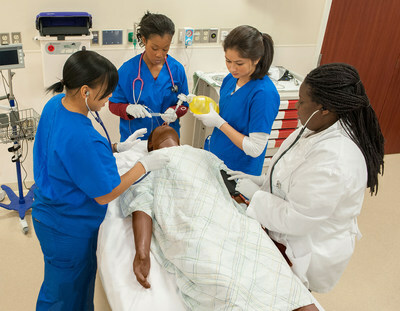 Laerdal, which specializes in simulation training solutions, has made the conscious decision to expand product offerings to include different skin tones and scenarios that account for differences in specific populations. The intent behind this is for simulated patients to better represent the diverse population that healthcare providers treat. This affords learners the opportunity to develop cultural competence and situational awareness about cultural characteristics that can play a major role in a patient’s care.